Every prophecy in the Bible about Jesus Christ's first coming was fulfilled in minute detail. But the story of the Messiah does not end in the first century. The Bible also tells us that He will come a second time. When He does, He will establish the Kingdom of God in the whole earth. Every person will be subject to Him. During His first coming, the Lord showed His followers how to pray. He said "Hallowed be thy name, thy kingdom come". Our future as Christians is to be "forever with the Lord". We now pray the same prayer. 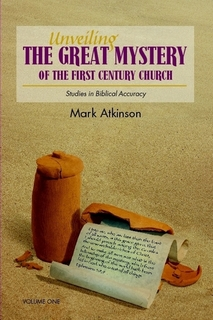 Christians in the first century had a detailed knowledge of what will take place in future. They understood how God's plan would unfold. They also understood what God said about preparing for that time ahead. Indeed, they set the example for the generation that will see the Lord return. How can Christians today learn these truths? What does the Lord want us to do? How should we prepare for the time ahead? It is clear from the Scriptures that no Christian today should be ignorant of these matters. This book has the answers. It shows from the Scriptures what God wants us to understand. It choreographs future events. It exposes the Lie which Satan uses to deceive mankind. But most importantly, this book will equip you to stand strong. It is the Lord's will that you are prepared to meet Him at His glorious coming.